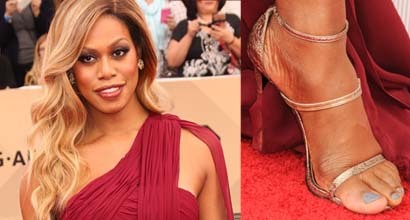 Scroll down to see the best outfits and shoes worn by Laverne Cox, an American actress, reality television star, television producer, and LGBT advocate. Dating: Her boyfriend is Kyle Draper, the CEO of a record label called Mateo Sound. They met on Tinder! Siblings: She has an identical twin brother, M Lamar, who is a New York City-based composer, musician, performer, multimedia artist, and counter tenor. He portrayed the pre-transitioning Sophia (as Marcus) in Orange is the New Black. She was born on May 29, 1984, in Mobile, Alabama, and wears shoe size 13 US (47 EU). 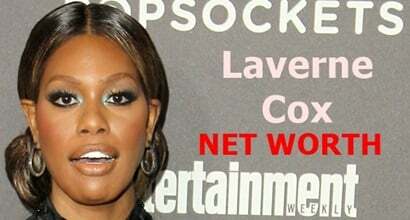 Best known for playing Sophia Burset in Orange Is the New Black, her net worth is $2 million dollars.